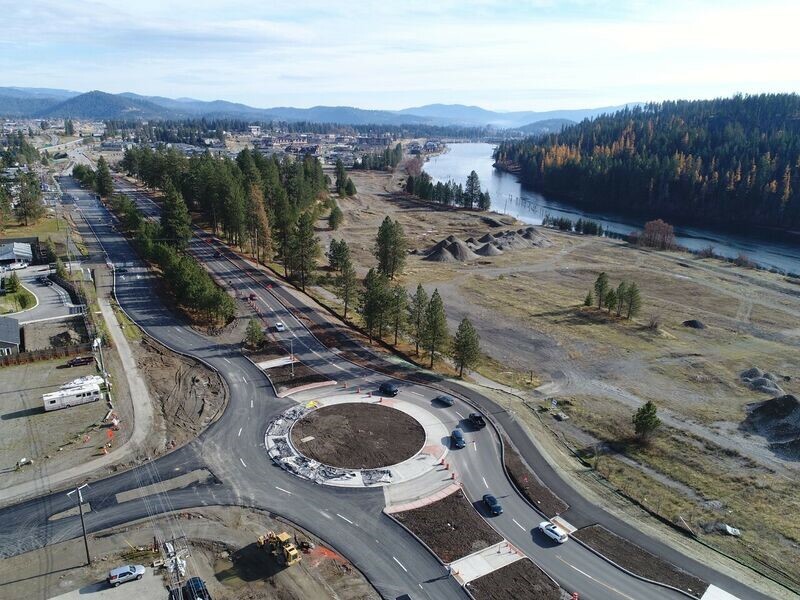 To date we’ve championed projects that have helped bring 1400 new jobs and over $555 million in property valuation to Coeur d’Alene. And we’re just getting started. We’ve got big plans and opportunities for our city’s future, and we’re excited to share them with you. From new housing developments and public spaces, to community art projects and parking improvements, we think you’ll be pleased with our city’s outlook. Hello future. 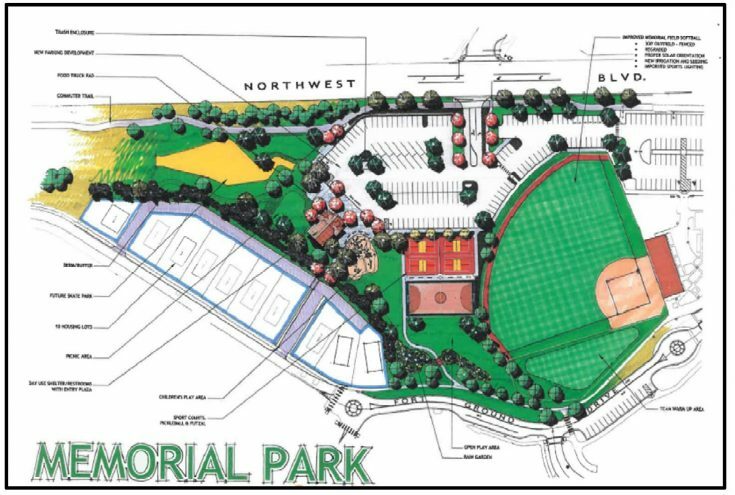 ABOVE: Draft architectural rendering of Four Corners Project which includes Mullan Road roundabout, the carousel location and Memorial Field grandstand plaza. Ignite CDA transfered this entire r-o-w section to the City of CDA. 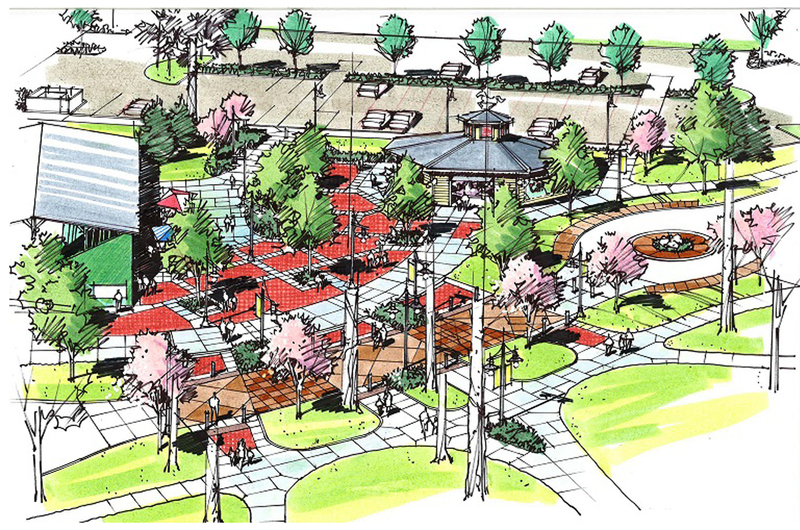 Ignite CDA plans to partner with the City to develop trails and an enhanced Johnson Park area. In December of 2016, the ignite cda board committed $4.56 million to revitalize Seltice Way from Northwest Blvd to Huetter Road. The roadway is being reconstructed to two travel lanes in each direction. Two buffered bike lanes, shared-use paths, roundabouts, landscaping, street lighting, water, sanitary sewer and storm water improvements are also included in this project. Anticipated completion, Summer 2018. Conceptual rendering of the Seltice Way and Grand Mill Lane intersection. 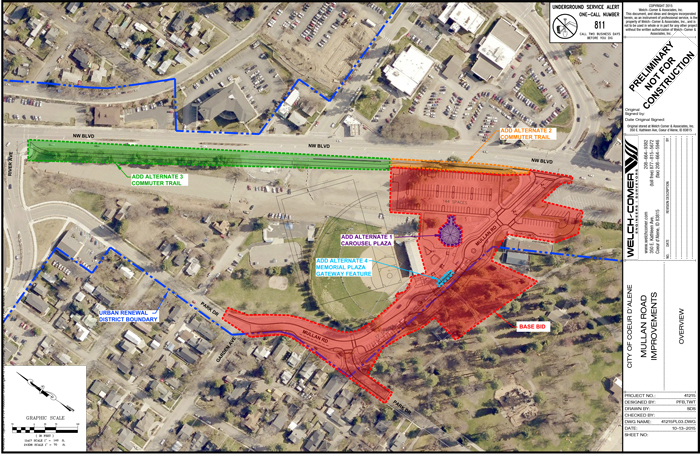 Ignite CDA plans to develop a portion of the r-o-w into public space uses (e.g. trails) and possibly divest / exchange another portion of the r-o-w for waterfront public access near the existing Riverstone West pond/park. The City of Coeur d'Alene performed a parking study update in 2016 which determined a deficit number of parking spaces to service the downtown central business district. A financial plan for a new downtown parking facility bounded by Lakeside Avenue and Coeur d’Alene Avenue, and 3rd and 4th street was included in the 2016 Lake District strategic initiatives. 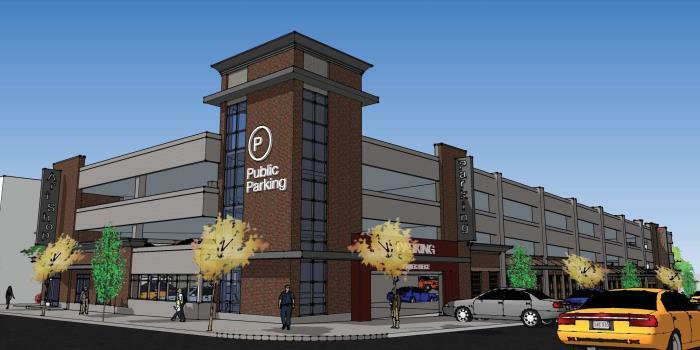 In April 2017 Miller-Stauffer Architectswas awarded the parking facility design contract. Construction bids for the project opened on October 18, 2017. Of the six competing firms, T. LaRiviere was awarded the construction bid at the October 2017 board meeting. The demolition phase of the project has been completed, and construction is slated to begin January 2018. 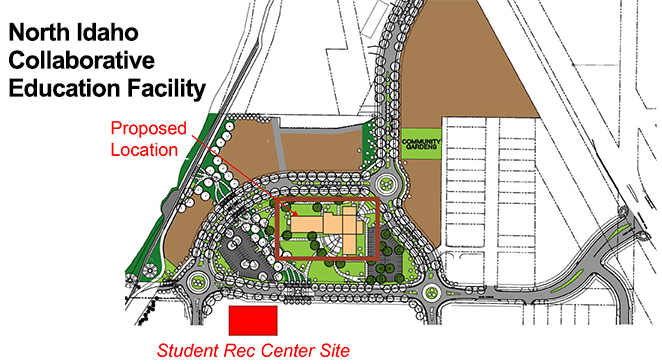 The new facility will provide 360 parking spaces. Anticipated completion of the parking facility is end of summer 2018. With an eye on revitalizing a distressed area adjacent to the newly created Memorial Park, the acquisition of properties along North Park Drive has been an ongoing effort by ignite cda for many years. In 2017 dilapidated structures were cleared and 10 residential lots have been created with a value of $2,101,000. An auction packet for these 10 lots soliciting sealed bids will be released in December 2017, with bid opening in February 2018. Proceeds from the sale of these properties will fund ongoing and new projects within the Lake District. Ignite cda is providing $2.5 million in partnership funding to assist North Idaho College, University of Idaho and Lewis Clark State College in building the Collaborative Education Facility on the Higher Education Campus in Coeur d’Alene. This facility will serve as the entry point for students to all institutions located on the Higher Education Campus, and will be another key component in the Higher Education Campus becoming an economic driver for the community. Plans call for building construction to be completed in early 2018.